Taming cords is one of my own top tech challenges, so I’m always on the lookout for new ways to get my desk more organized and keep tangles at bay. Because despite what design magazines tend to portray in their perfect home office photo spreads, cords are a fact of life in the real world today. Lots and lots (and lots) of cords. Whether you need a new cord management solution for your home office, or or just want your workspace to look more organized overall, we found some great new options to consider that we haven’t featured before. One of my favorite cord management finds from CES this year is the new Guide cable organizer from Griffin, shown at top. Isn’t it cool? Prop it on your desk, then arrange the magnetic pieces on the steel bases to hold cords in place, exactly where you want them. Look for it sometime this spring. 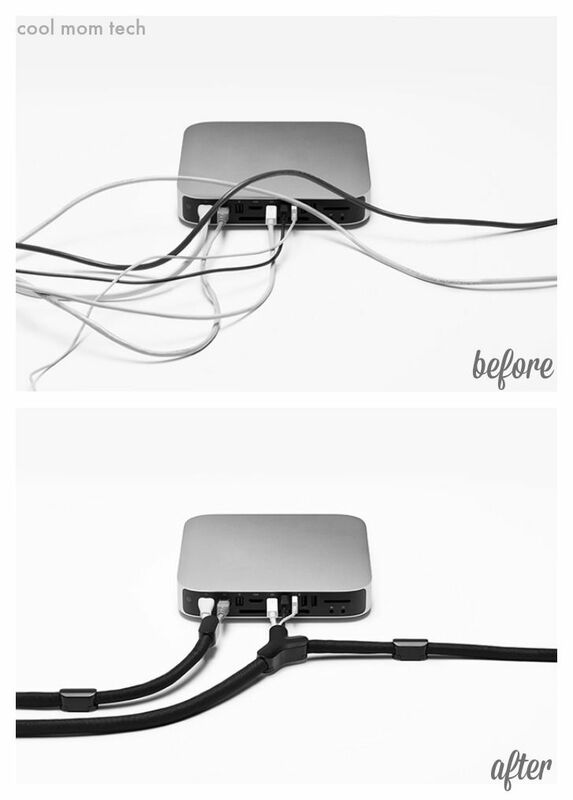 If you need to be able to take your cords with you, but you still want to keep them tidy, check out the PowerCurl Mini. Insert your Apple AC adapter in the center of the spool, wrap the cord around the spool, and then flip the cover back over the cord. 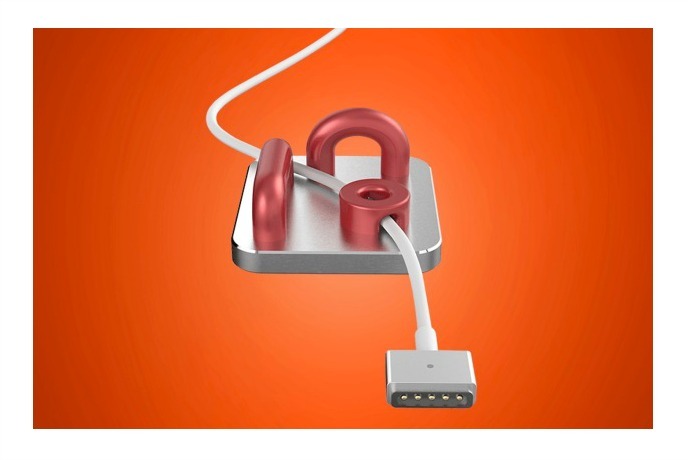 Or get a Universal PowerCurl for your non-Apple gadgets. 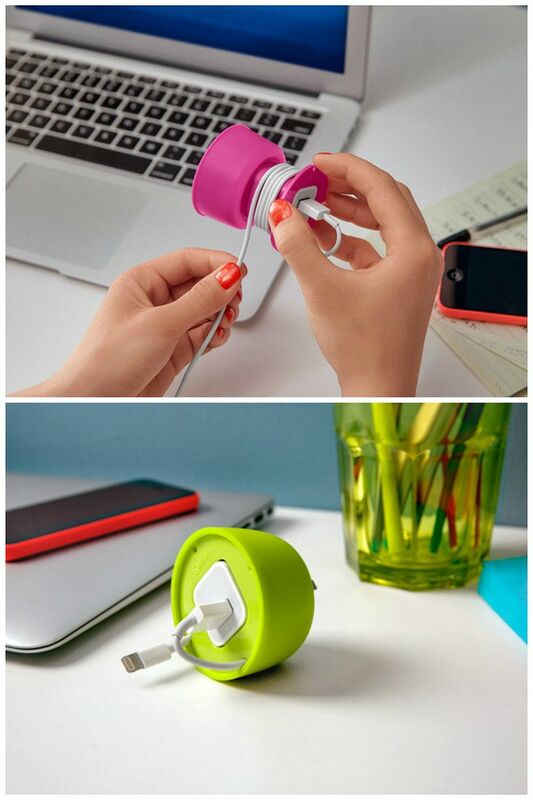 So great for charging on the go, and the bright colors make the PowerCurl Mini easy to find at the bottom of your handbag. 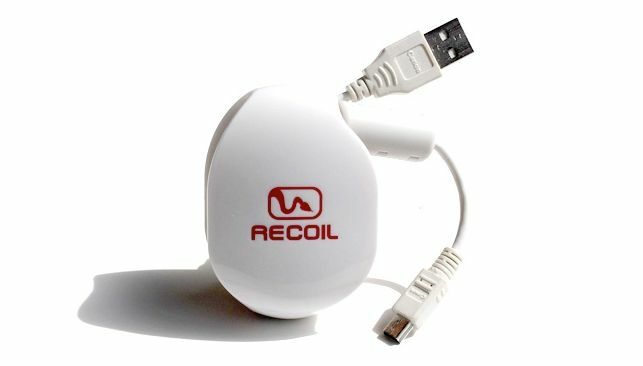 Recoil Winders are another smart solution for keeping cords under control. Their 2012 Kickstarter campaign was a huge success, and it’s easy to see why. These spring-loaded gadgets wind cords up into a compact case, yo-yo style. Pull out just as much of the cord as you need, and leave the rest on the winder–kind of like the Power Curl Mini, only a little more automated. Different sizes of the Recoil can accommodate different types of cables, and you can even buy combo packs that come with a holder that sits on the desk. Because hey, who has just one cable? Not me. Another great find at CES hails from Bluelounge, whose modern, affordable desk organization tools we’ve always loved. The new Soba cable bundler zips multiple cords into a flexible tube, which keeps them from getting tangled and looks so much better! 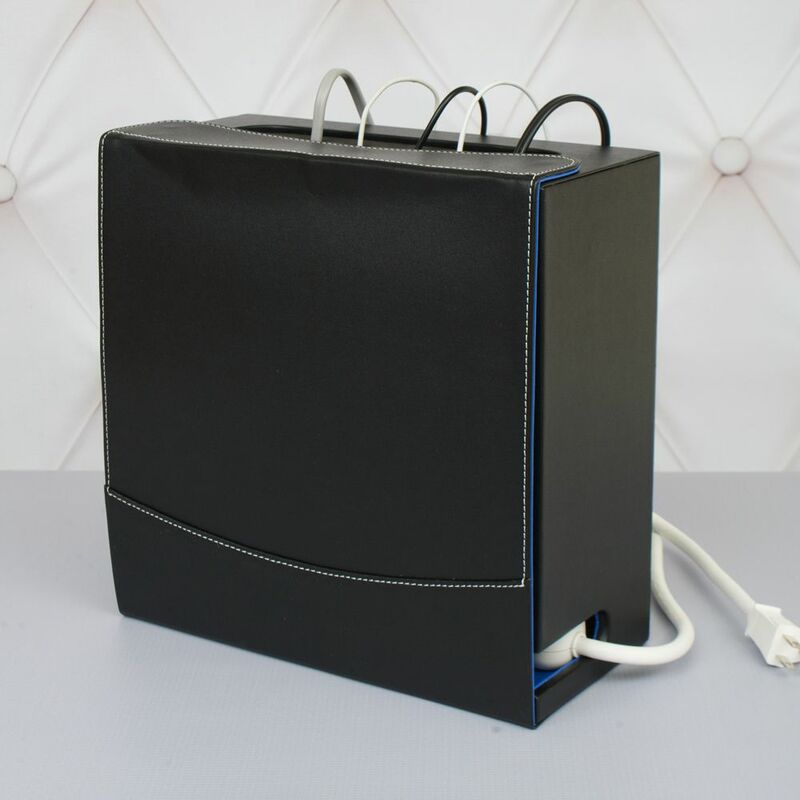 The Soba is a fantastic option for consolidating all of those cords dangling behind of your desk, or the multitude of cables from your TV to your cable box, gaming system, Blu-Ray player, other gaming system…you get the picture. Eventually, all of those cords you’ve got end up plugged into a single power strip. While we’ve found some innovative and even beautiful power strips, another option is to tuck everything away completely. The Cord Corrals from Great Useful Stuff (fun name, right?) looks nice on its own, but open it up and you’ll find a well for each individual cord, that leads to the power strip housed at the bottom. Nice solution for an office setting where eco-friendly bamboo or faux leather look look better than some of the modern plastic cord hiders we’ve featured. Then again, there are times you want your cords stashed where people will notice them. 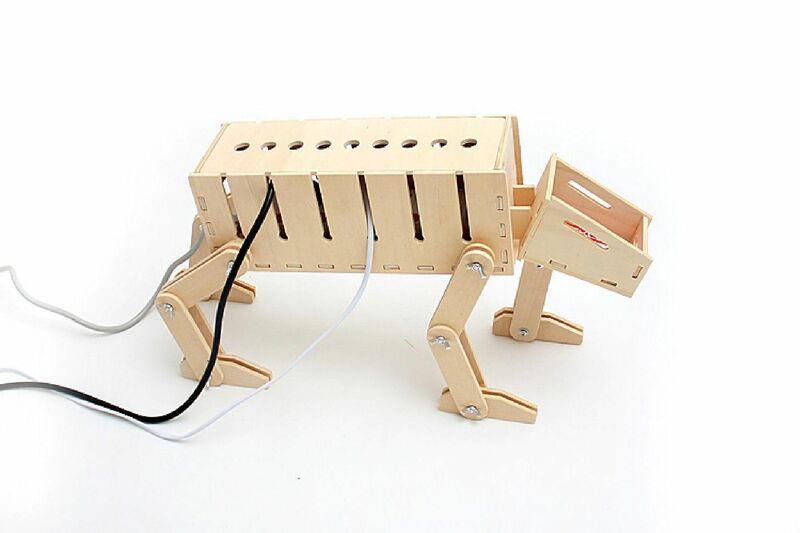 I am totally cracking up at this Star Wars AT-AT cord tamer from Grand St which is a fun solution for cord management woes. Assembly is required, along with your own power strip, but that should be no problem for a Jedi knight, right? While not just for cord management, I also like Griffin’s PowerDock Pro, which looks like a super smart upgrade to the PowerDock 5. It’s meant for storing multiple tablets and phones, however it’s designed so you can tuck the cords inside the base to keep them out of sight. It could also have the added benefit of preventing them from disappearing to various locations—which is what happens at my home. 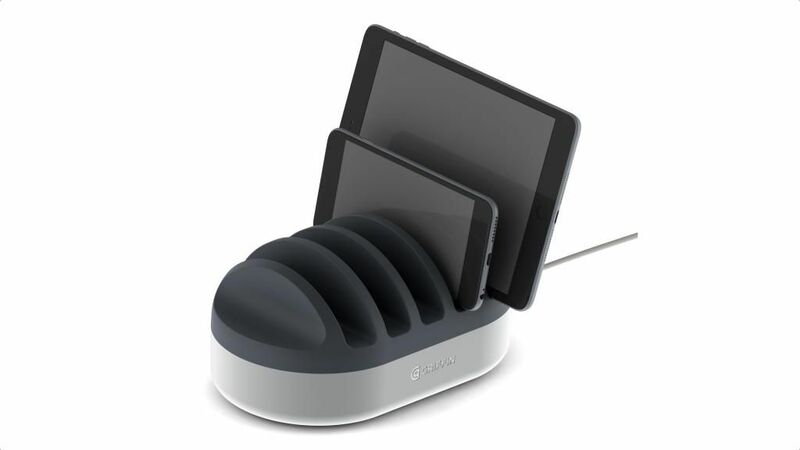 We’ll have to wait until summer for the PowerDock Pro, but it looks like it will be worth it. 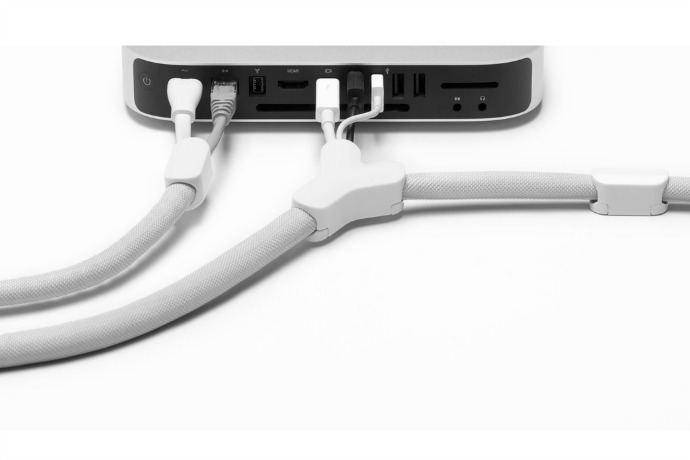 Check out our other cord management recommendations in our archives.